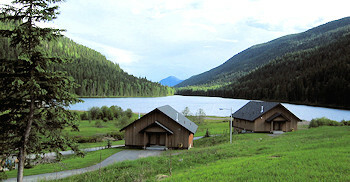 Hallamore Lake, British Columbia. Hallamore Lake near Little Fort, BC. 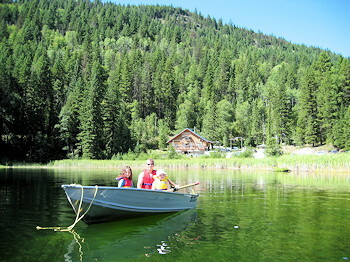 Location: To reach Hallamore Lake, travel north from the city of Kamloops, BC on Hwy. #5 (Yellowhead Hwy.) to the community of Clearwater. At Clearwater turn east (right) at the Wells Gray Inn in Clearwater. There is a sign on the right hand side of the highway at Clearwater pointing East directing to Dunn Lake Road. Follow Dunn Lake Road (south) for about 15-20 Km to Hallamore Lake. 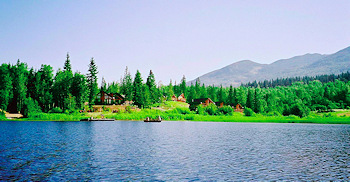 Resorts & Campsites: Hallamore Lake has 1 full service resort with RV sites located on the lake. Fishing Report: Hallamore Lake produces a good number of rainbow trout and offers the opportunity to explore many excellent fishing lakes in the surrounding area.